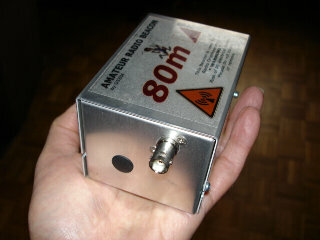 The PIC timer and RF circuits have been combined and a PCB designed to fit a standard AB28 folder aluminium box. 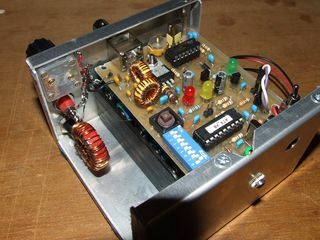 The AB28 box is ideal because it neatly accommodates a 10xAA battery pack with the main PCB above. In operation, the unit is placed in a plastic bag and hidden under leave mould. A plastic storage box, or plastic pipe might be other weather proofing alternatives. 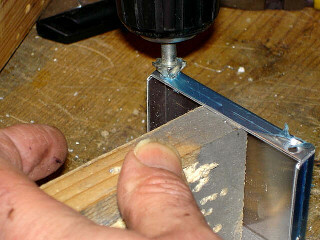 Enlarging the fixing holes to slots gives a folding top. 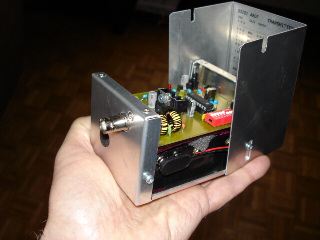 Using a slightly wider aluminium box Type AB23 This allows the inclusion of a simple toroid matching device, in the enclosure. 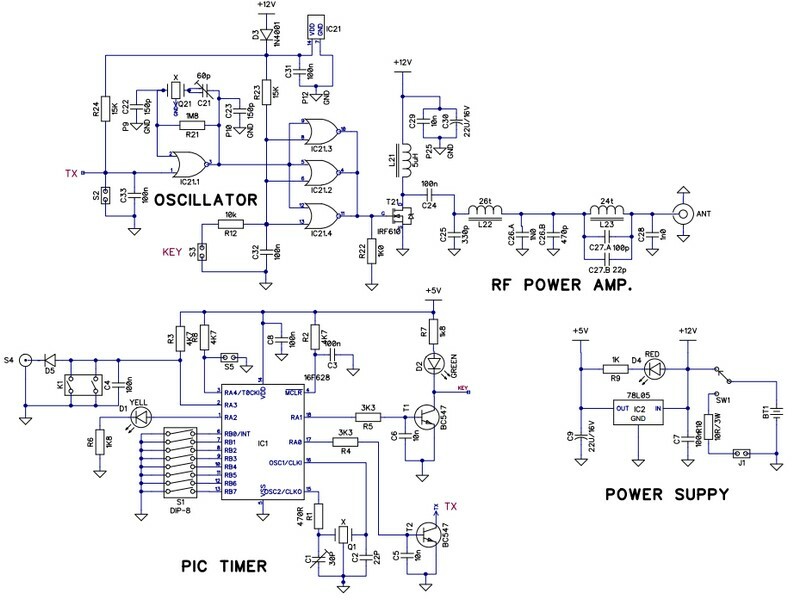 You can use the original software by ON7YD or alternatively the G3ZOI software, which has been enhanced to allow an end-of-transmission callsign to be programmed into eprom. 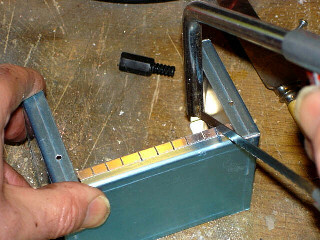 One side of the bottom flange needs to be modified to allow you to removal of the battery pack. UPDATE ! No need to cut it as shown, just fold flat to the box bottom. Drill and countersink the fixing holes for the PCB spacers. The spacers hang from the top flange. 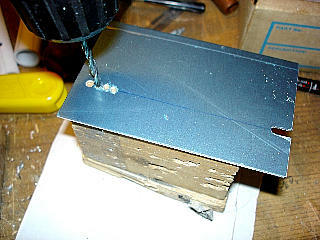 Enlarge the existing fixing holes in the box-top to allow it to hinge. we would like to etch some boards. Do you have the dimensions of the printed board for me? It seems that the link do not work,could you please fix it? Any Gerber or PCB production files ? PDF is for self ething … and had become more expensive ..then fabricating .. Check my EBAY listing for PCBs to buy.